A teacher who was bullied as a schoolboy for being gay bravely came out to 1,000 of his pupils during a school assembly. Daniel Gray made the bold decision to be open about his sexuality after being told to keep it a secret while training to be a teacher. Back when Daniel was at a schoolboy, he was bullied for being gay even though he didn’t know it himself at the time. Daniel said: “Every single day I was pushed in corridors, I was called names, I was insulted, I was sworn at, spat at and I had stones thrown at me. And when Daniel approached a teacher to report the bullying, he and a friend were told this was just something they would have to accept if they were openly gay. And when he decided to become a teacher, Daniel was told to keep his sexuality a secret from his pupils, in case they used it against him. 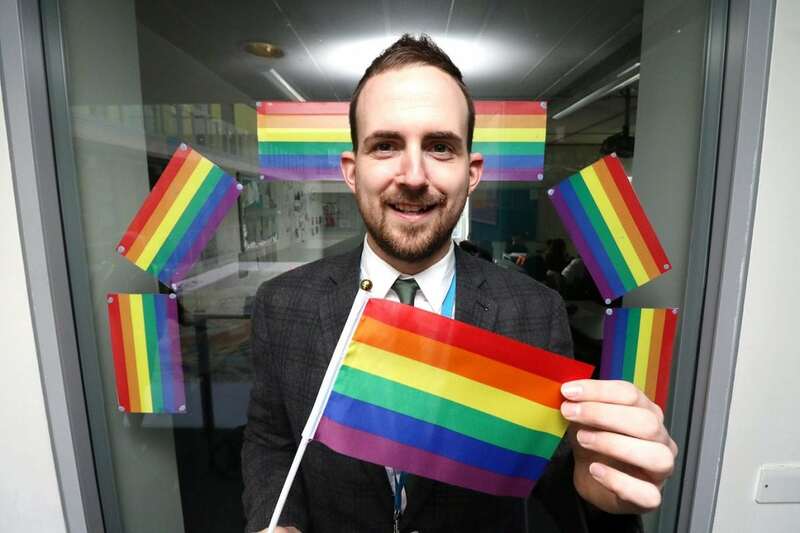 Daniel said: “I was told categorically when I started to train to be a teacher nine years ago not to come out to my students. “They said you don’t want to give them any more ammunition than they’ve already got, and that’s really a very depressing and very sad way of looking at it. Daniel said: “It’s not like teachers are here to talk about their personal lives – they’re not – but my not talking about my life, it’s excluding those who feel like they can’t fit in. “It’s always felt like I was withholding something. I’d never lie, but I’d change the subject. 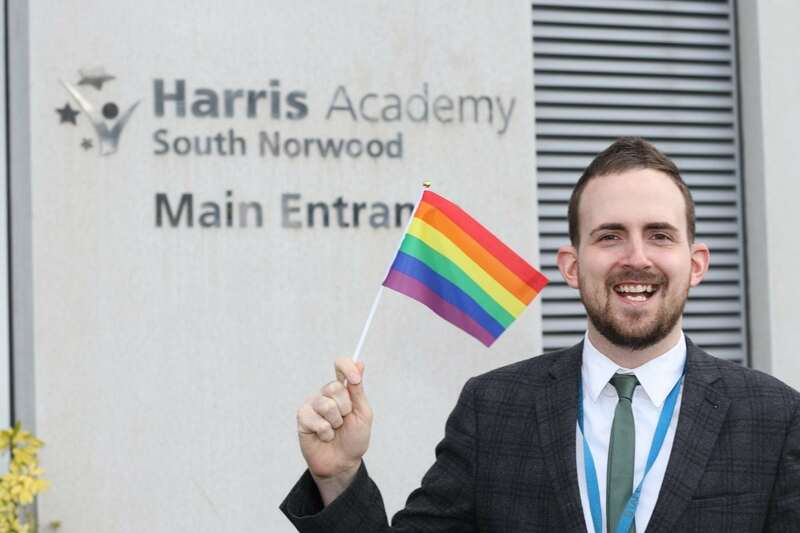 Determined to become a homosexual role model for Harris Academy, David recorded a video in which he came out and organised it to be played during a school assembly to mark LGBT History Month. Careful not to make his story the main focus of the assembly, David said his admission was more of a passing comment to add context to the assembly’s theme. 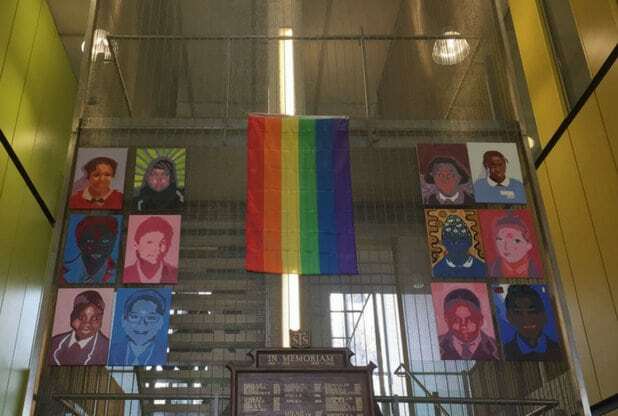 David said: “I went through all the things the school was doing for LGBT History Month, and then I just said, ‘As a gay man, I know how important it is to have positive role models, and that’s why we’re doing this’. Since coming out, Daniel said the response from staff and students has been “phenomenal”. Daniel said: “Attitudes are changing, by being consistent and having a consistent message, we’re talking openly about these things for the first time. After the assembly, a student who had never been taught by Daniel, approached him to tell the teacher how it had changed his life. Comparing the way Harris Academy celebrates diversity to his school days, Daniel said: “I actually feel a bit emotional [about it]. Daniel added: “I think it just takes one person to say ‘It’s OK’ for the floodgates to open and for all these kids to just accept each other for who they are. “Even if you don’t know who you are, you maybe just feel a bit different, there’s other people out there for you. The school have been contacted for a comment.